I've been listening/watching Hobbs for nearly 30 years-hard to see him go. 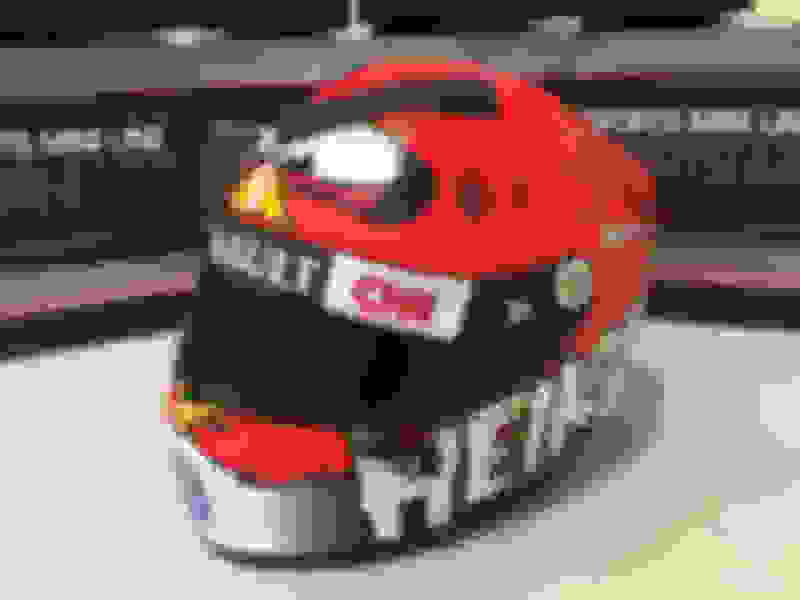 New F1 logo coming soon??? Which one do you prefer. I like the one on the left. Retroristic? Q: (Angelique Belkopytov – AutoDigest) Question to all three of you: finally on the podium we saw the new F1 logo. What is your opinion about that and do you agree with the change? VB: I kind of like the old one. I only saw it very quickly. 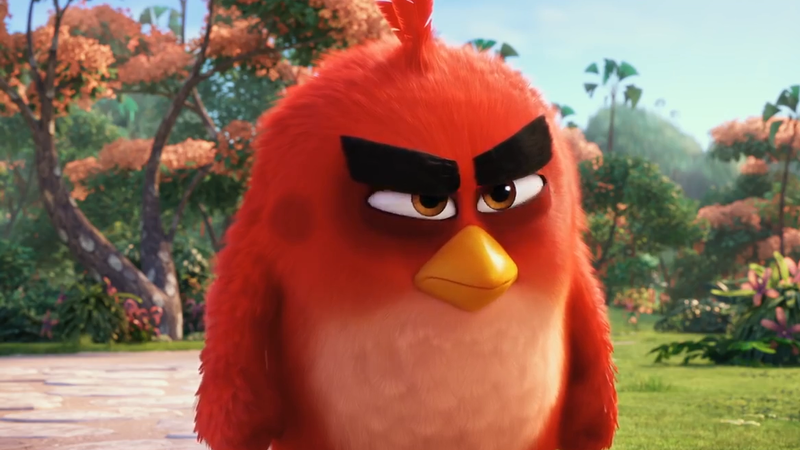 SV: Just say you don’t like the new one! VB: What’s wrong with the old one? I don’t know. I think it’s quite cool. SV: I liked the old one better. LH: The problem is logos… I think the one that we already had was an iconic logo I think. Just imagine Ferrari changing their logo, or Mercedes changed their logo. I don’t think the new one is as iconic but maybe it will grow on us. with LH. I saw nothing wrong with the Logo or any reason to change it. I think time would be better spent coming up with better regulations for the cars/teams that would actually help improve the sport and not hurt/limit it. Definitely like the old logo better. We'll see how the ESPN coverage is. I got back into F1 in 2014, so the NBCSN guys were about all I've known, aside from some Murray Walker, from watching some older races. I think Brawn is aware of that and he's working with the other technical FIA folks to fix the next gen motors. +1, also like Hobbs and Steve Matchett as well on their commentating. I hope the replacements aren't like John Bisignano. The most annoying F1 commentator IMO. Last edited by Chief F1 Fan; 11-27-2017 at 01:43 PM. I agree with LH for sure. 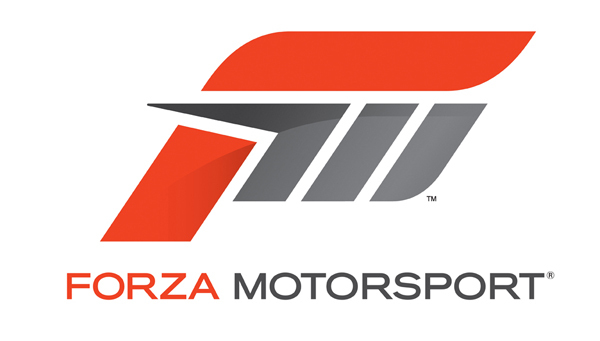 I would have rather Formula 1 freshen up their old logo instead of this silly departure. It looks like a video game logo. Why do I feel like someone should invoke Allen Iverson in all this talk of logos? To paraphrase - "Logos. We're talking about Logos. Not a race. Logos." I understand the importance of brand recognition; I just think it's funny it's being discussed in this thread and that World Champion Lewis Hamilton felt compelled to chime in. Formula One, the world’s preeminent auto racing league, is actively scouting downtown Miami as a potential site for a new Grand Prix. Executives and engineers with the global racing brand were in town this month, meeting with Miami’s new mayor and the city’s head of film and culture to go over potential racing circuits and logistics. Racing planners have already put together a half-dozen routes that would have high-performance vehicles zooming around AmericanAirlines Arena, over the causeway to Dodge Island, down Biscayne Boulevard and — in what sounds like a non-starter — through the PortMiami Tunnel. Routes and logistics are being discussed with the hope of bringing a race to downtown by 2020, according to events director Vicente Betancourt, Miami’s film and culture administrator. But everything is preliminary, he said. NASCAR, the uniquely American form of stock-car racing, holds its season-ending championship races at Homestead-Miami Speedway. Unlike NASCAR, which races almost entirely on ovals, Formula One’s series is comprised of 15 road courses and five courses laid out on city streets. Under new ownership and looking to expand its U.S. presence, Formula One has been talking much of the year about adding races to its lone United States Grand Prix in Austin, Texas. An event in Miami, or possibly Las Vegas or New York, has been publicly discussed. They haven’t mentioned a possible return to the site of their most recent United States run, the Indianapolis Motor Speedway. The United States Grand Prix ran there using a road course that included part of the oval used for the Indianapolis 500 from 2000-2007. On Nov. 7, the racing company filed for new trademarks on races in the three locations, according to AutoGuide.com. And the following day, Sean Bratches, Formula One’s managing director of commercial operations, was in Miami with a team meeting with Mayor Francis Suarez and checking out city streets. Betancourt, who began talking to racing organizers in May while visiting France during the week of the Cannes Film Festival and Monaco Grand Prix, said Bratches left Miami with much still unsettled, including the circuit. Miami has hosted street races since 1983 over some of the same streets being looked at by Formula One. Two years ago, the city hosted the Miami ePrix, an electric automobile race under the Fédération Internationale de l'Automobile’s Formula E racing series that ended up being a one-time event. For Formula E vehicles, which travel at speeds up to 100 miles per hour, the city erected barricades and shut down streets around a 1.3-mile track. Some of the barricades remained up for the Ultra music festival two weeks later. Formula One cars can top 200 miles per hour on a roughly four-mile circuit. Though the event is still mostly an idea, opponents already have emerged. Last month, a conservative state politics group known as Better Florida Alliance took out advertisements in the Miami Herald warning of “months of construction,” “street closures” and “big-time noise pollution.” The ads stated that “elected officials and their corporate fat cat friends want to turn our taxpayer-funded streets into a race track,” perhaps an allusion to the hefty amounts some cities and states pay to court the race. “I was very blunt with [Formula One] and said we’d love to entertain it but we have no money,” Betancourt said. Michael Hernandez, communications director for County Mayor Carlos Gimenez, said the county, which owns and runs the port, has not had any discussions with the city or Formula One about a race. Formula One representatives didn’t respond to an emailed request for comment. Kubica seems to be running mid-field on pace. Last edited by 00TL-P3.2; 11-29-2017 at 01:31 PM. I think people were up in arms when the old F1 logo debuted as well. Remember the iconic old F1 logo with the car inside the FIA letters? I loved that. I'm sure people will eventually warm up to this new logo. Mercedes has now joined Ferrari in threatening to quit Formula 1 after the 2020 season. Earlier, Ferrari president Sergio Marchionne said that if Liberty Media proceeds with its plans for the 2021 engine rules and budget cap, the Italian team could withdraw and race elsewhere. And now, Mercedes boss Toto Wolff has admitted he is not happy following one year of Liberty leadership. "Nothing," he said when asked by Kronen Zeitung newspaper to point out a Liberty-inspired highlight of 2017. "Doing erratic actions like Michael Buffer in Austin does not make the sport any better." When told that Liberty just wants closer racing, a better engine and cost controls, Wolff scoffed. "But we do not see any vision," he said. "Nobody knows where the journey is going. All we know now is that sales and profits have fallen sharply." So when asked if Mercedes could join Ferrari in its F1 quit threat, Wolff didn’t back down. "Such a scenario is quite conceivable," he said. "Just as it is for Ferrari. If we do not see what Formula 1 stands for, then we have to ask ourselves the difficult question: not if but where do we want to operate in motorsport at the highest level?" ^ Good. Stand up to them and lets actually make it exciting again! Logo's a superficial marketing thing. If the new one's better (in terms of graphic design) for social media, etc., fine. More concerned with sporting rules and technical regs. 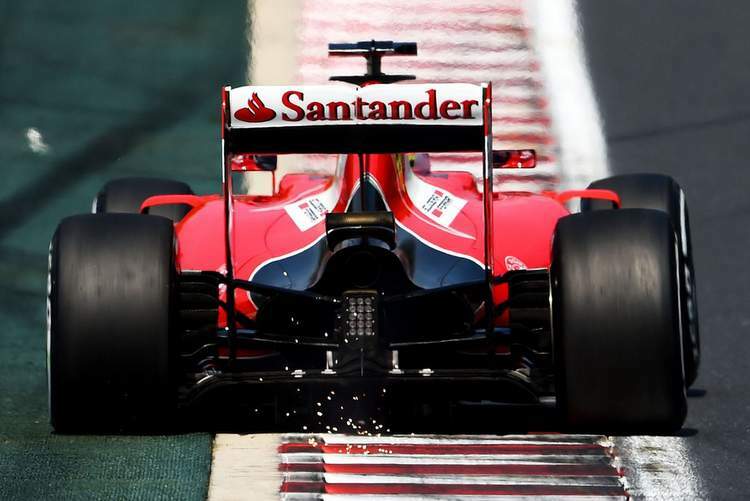 As we reported earlier this week Santander is ending its long-running sponsorship of Ferrari and Formula 1 at the end of this season and teaming up with the Champions League instead, the Spanish bank confirmed on Wednesday. The announcement came in a statement confirming a new three-year partnership with the UEFA competition. Ferrari finished runner-up in this year’s Formula One championship. Santander’s sponsorship of Formula 1’s oldest and most successful team coincided with the arrival there in 2010 of Spanish double world champion Fernando Alonso, who has been at McLaren for the past three years. Ferrari cars are going to look weird next year. Since I have been watching F1 this is all I have ever known for Ferrari. Lewis Hamilton has admitted he is battling a personal dilemma over his future in Formula 1, because he wants to continue but he doesn't want to keep missing out on other life experiences. The world champion's contract with Mercedes runs out at the end of next season, and it is expected that discussions for a new two-year contract will begin over the next few weeks. But while it is thought highly likely Hamilton and Mercedes will agree terms, the Briton confesses that part of him wants to start exploring other opportunities away from the race track. "It's like the weather. It's about trying to find the balance," said Hamilton during an interview with selected media including Motorsport.com about his mindset regarding his future. "I've currently got another year with the team and I do want to continue. But, I'm at that point where there's that question." Hamilton is attracted to doing things with life well away from the race track, but is conflicted because he knows that if he does quit F1, he is going to miss it. "You can't come back to F1. Whatever happens, you are gonna miss it. If it's next year, if it's five years from now, you're gonna miss it when you finish. "There's a saying you stay as long as you can – I'm not quite sure about that exactly, but there is a lot of life left beyond it. There are things that I've missed in life. "I was talking to my best friend the other day about things that I do envy or look forward to, like living in one place, getting a routine, that's my gym, I have game night with my friends here, my family. "Each year I stay in the sport, I delay those things. But from 40 onwards there's so much time for it." Hamilton said that not missing out on other things he wants to do in life was brought in to reality by the recent death of an aunt. "My auntie died from cancer and on her last day she said, 'I've worked every day with the plan of stopping one day and doing all these different things, and then I ran out of time.' So I'm battling with that in my mind. "So I do live my life day-by-day and try to live it to the maximum. So that's what I'm fighting with – I want to keep racing but there are these other things I want to do. I want my cake and I want to eat it. I just want to make sure I choose the right time, but I think I will." Hamilton says that he has no interests in a political career, but says there are many cultural things he wants to get involved in. "I think I am a big part of the culture I bring to F1, where I'm from. Appreciating that more in other locations. Admiring that… The charity stuff I've done before, but I'm really starting to focus on the future as my time comes to an end in F1, putting things in place for that part of my future." He added: "I have discovered these other strengths and qualities and I don't mind going to start in a company at the bottom and working my way up, if that's what I end up doing. "I don't mind doing an internship. I'm excited about learning new crafts. It's exciting, it's risky and I like the idea of that. It's different if you're worrying about pension and you don't have the financial stability. So that helps. It's just because it's exciting. What am I going to do?" 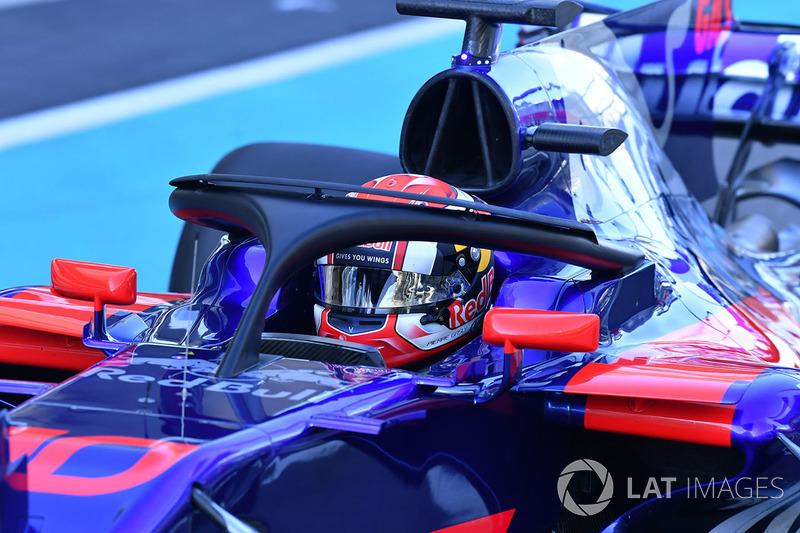 Toro Rosso trialling a Halo with a winglet mounted on top, in an effort to mitigate the aerodynamic consequences of the safety device. Teams are permitted a fairing around the halo with a 20mm tolerance. That was my first impression as well. Someone also said it kind of looks like ESPN's font. It was only a matter of time before the halo had aero on it. I am waiting for the first team to put little fins on it instead of a winglet. Remember when Heikki had an Angry Bird helmet? That was the best helmet ever. Last edited by F-C; 11-30-2017 at 07:49 PM. Lance Stroll is set for his LMP2 debut, having been confirmed in Jackie Chan DCR JOTA’s lineup for the Rolex 24 at Daytona. As predicted by Sportscar365 last week, the Williams F1 driver will join Felix Rosenqvist, Robin Frijns and Daniel Juncadella at the wheel of one of the team’s Oreca 07 Gibson entries in the IMSA WeatherTech SportsCar Championship season opener. Lewis Hamilton has comfortably come out on top in Autosport's Formula 1 team principals' top 10 drivers poll for 2017, with Esteban Ocon impressing at number five. In what has become an end-of-season tradition, Autosport asked all 10 F1 teams' bosses to rank their top 10 drivers, based on on-track performances over the course of this year's 20 races. Points are awarded using F1's scoring system (25-18-15-12-10-8-6-4-2-1) to generate an overall winner. Votes are kept secret to ensure team bosses are willing to take part and can give their honest opinion of drivers up and down the grid. Hamilton, who won nine races this season on his way to a fourth world title, collected an impressive 233 points from a possible maximum of 250 to retain top spot. Though it is one point short of last year's tally, the number of teams on the grid this term has been reduced by one, following Manor's departure, making this year's score even more dominant. It is Hamilton's fourth successive victory in the poll. Red Bull's Max Verstappen, who secured two wins this year, is 90 points adrift in second. Hamilton's closest rival in the championship Vettel slotted into third, two points shy of Verstappen but two places higher than last year. But Hamilton's team-mate Valtteri Bottas is at the foot of the top 10, one place lower than he was in this ranking when at Williams in 2016. Mercedes protege Esteban Ocon is the highest new entry, coming in at number five, one place behind Daniel Ricciardo but ahead of world champions Fernando Alonso and Kimi Raikkonen. Ocon has had an impressive season for Force India, scoring points in all but two races to finish eighth in the drivers' standings, 13 adrift of team-mate Sergio Perez. Nico Hulkenberg is the other new entry, at number nine, with Renault team-mate Carlos Sainz Jr finishing two points ahead in joint seventh in the poll. Perez drops out of the top 10, along with last year's world champion Nico Rosberg, who retired at the end of 2016. I saw this on James Allen's website, who wants to pay to watch that shitstorm? 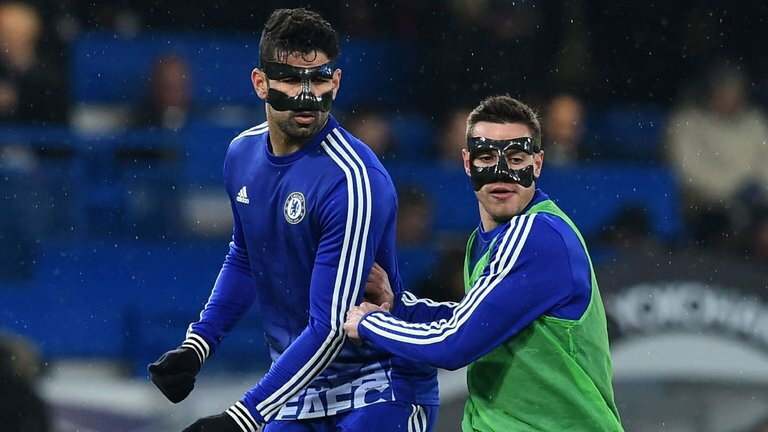 Despite the massive problems at McLaren/Honda this season this could be very entertaining. Got around to watching the Amazon Primes series Grand Prix Driver about the start of McLaren's 2017 season. Four 1/2 hour episodes, really enjoyed watching the first three episodes. Narrated by Michael Douglas who does a fantastic job, he did a excellent job narrating a documentary about the Munich Olympic Terrorist attack years ago and he was great then. + The real star is the McLaren Technology Center, with absolutely stunning architecture and interior design, windows everywhere. Really cool facility. + The strength of the MCL32 chassis is amazing as they show from multiple views the 2017 Austrialian GP Alonso crash. Wow. I want to watch this now.